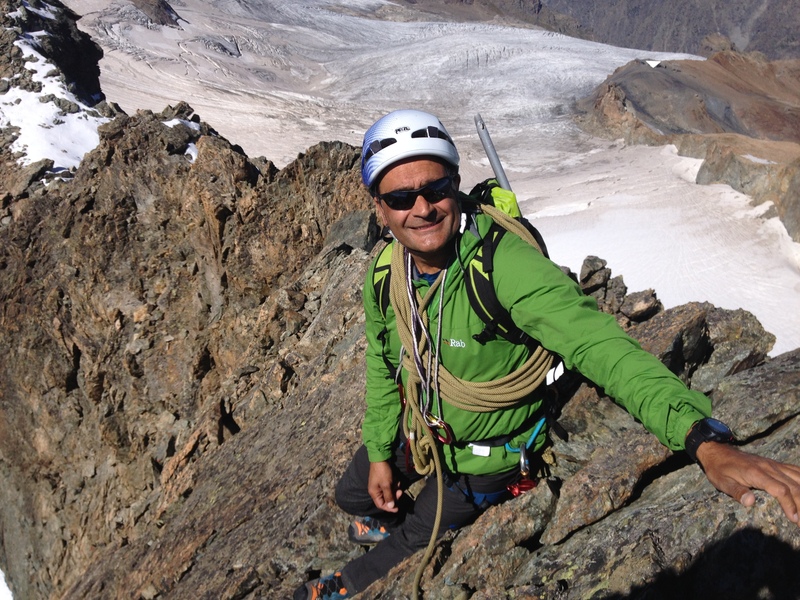 Dave takes the new performance climbing shoe from Scarpa for a test drive. When I opened the box of the Scarpa Chimera I thought to my self, how on earth am I supposed to test these out. 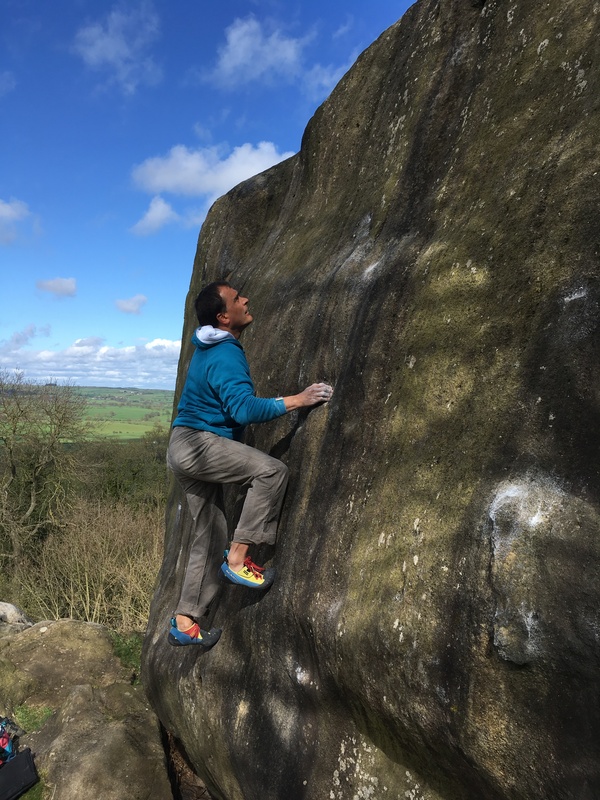 They are a very radical top end performance shoe and as most of my climbing is, these days, firmly in the upper intermediate end of the grade spectrum but they have been fine for the sort of rock climbing I do – mostly single pitch sport and bouldering. 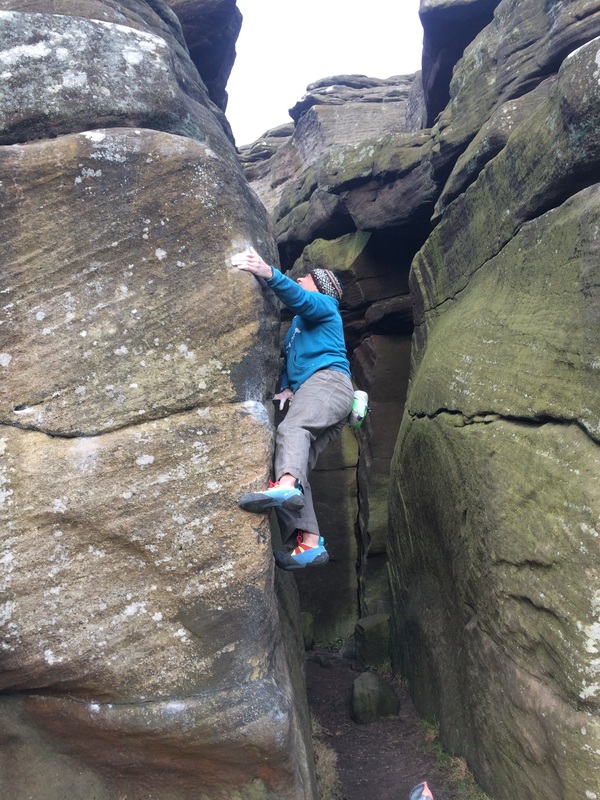 Indeed for Gritstone bouldering they have been an outstanding climbing shoe. The Scarpa Chimera is a top end performance shoe with an incredibly soft and sensitive feel to them. The main outer material is made from unlined leather and microfiber and just about fully encased in rubber! The material has kept it’s shape well throughout the test and hasn’t stretched too much. In fact the shoes haven’t really stretched too much at all due the amount of rubber in the rand and toe. The toe rand has so much rubber that the Chimera needs perforations to help breathability. The generous rand rubber was great for toe hooks. The profile is definitely toe down. My usual test size is a UK 7.5 but I just couldn’t get them on (or perhaps these days I’m not prepared to wear them with plastic bags to try and stretch them in) so I exchanged them for a size UK 8 and they have been much better. I’ve been using them constantly all winter for indoor training as well as throughout the season for bouldering and they have kept the size well and still feel tightly fitting with no annoying spaces. The downward toe has flattened out a little over time and the shoes now have a well fitting feel to them. The toes are further supported with ergonomic ridges (the TPS insert) which helps keep them in place and the heel is excellent with full, cupped support that allows for very little heel lift when hooking. You get that nice displacement of air sound as the shoe goes on and a vacuum feel as the heel fits into place. Two heel tabs help pull the she on and off as well as provide a means of clipping them to your harness for descents or hot belays. The TPS insert was flexible enough to flatten out for those moments when full surface area is required on small smears. 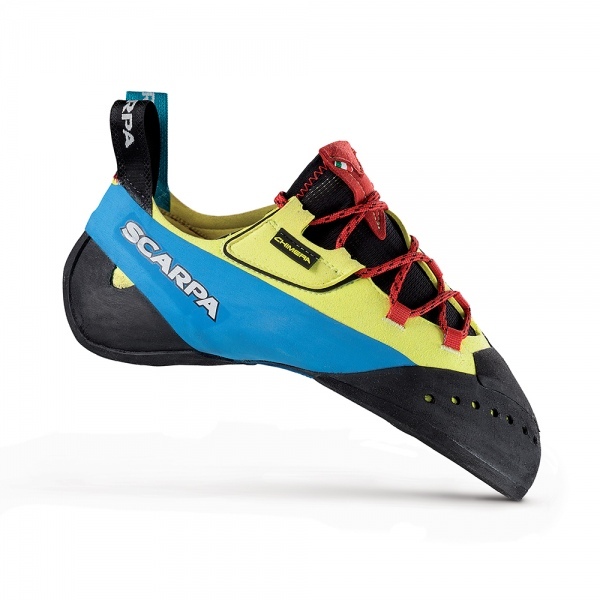 The Scarpa Chimera shoe was brilliant at smearing. Scarpa has been using much more of the sock fit technology in the shoe range and the Chimera has that feel to it with the tongue being made from a stretch mesh which means the fit across the foot is much more comfortable as there is little bellowing. The lacing is also offset which pulls the shoe firmly to the foot and I thought the thinner, flat laces worked really well and rarely came undone. So, how have I found the Chimera given that they are not normally the type of shoe I climb in? I also have a pair of Instinct VSR and I thought they were soft, the Chimera are one of the softest shoes I have climbing in since I climbed in Ninjas in the 80’s. I found them hard to climb in on Limestone, especially the edgy limestone at Malham Cove my usual early season venue. However, on a recent trip to Spain I found them much better on the steeper, tufa style of climbing and as I have mentioned earlier on Gritstone they have been brilliant. They will probably be fine at Kilnsey. I have also been using them all season for training on both bouldering and routes and they have performed excellently. If you are predominantly an indoor climber you will love these as the sensitivity on plastic is second to none. The toe rand is perfect for those tricky toe hooks and the Vibram XS Grip rubber very sticky indeed. The colour scheme is a little gaudy and certainly turned a few heads but I didn’t mind that. So the Scarpa Chimera is a great top end shoe suitable for seriously steep limestone or smeary Gritstone and most things in between. They have been very comfortable and I have been wracked with indecision as to whether I fitted them correctly or should I have gone with the half size smaller. In the end comfort won out and if you are a top end climber or want supreme performance I would say go the half size smaller. I also agree with Dan’s comment above they have been an awesome bouldering shoe. I would also comment on the fact that due to the synthetic materials these have been the smelliest Scarpa shoes I have tested so I’m off to buy a pair of Banana inserts!